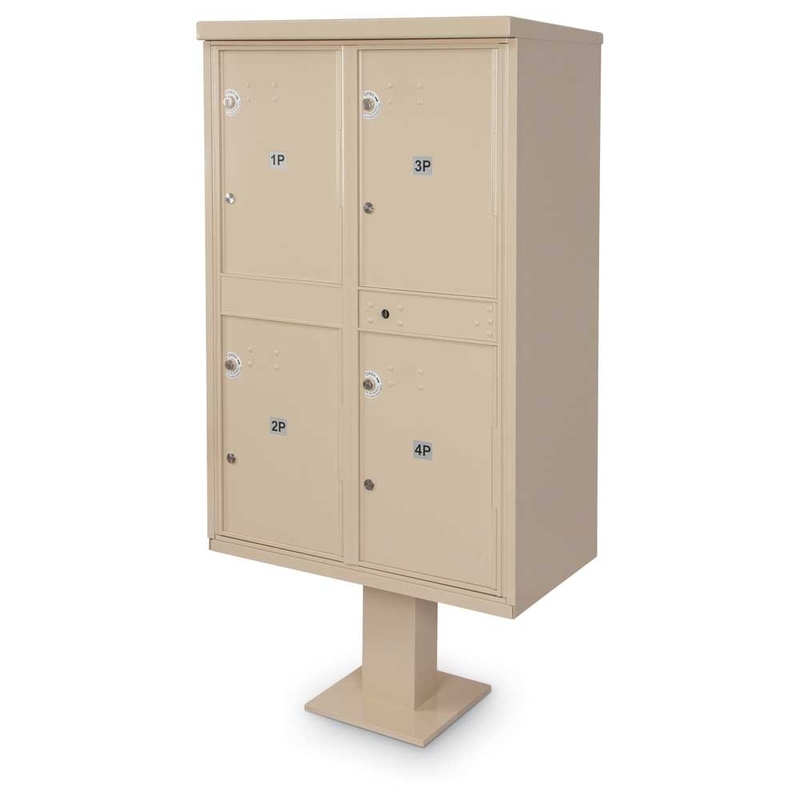 Front-loading, all-aluminum standard CBU's come in 8, 12, 13, & 16-door models and are available in three (3) contemporary colors. 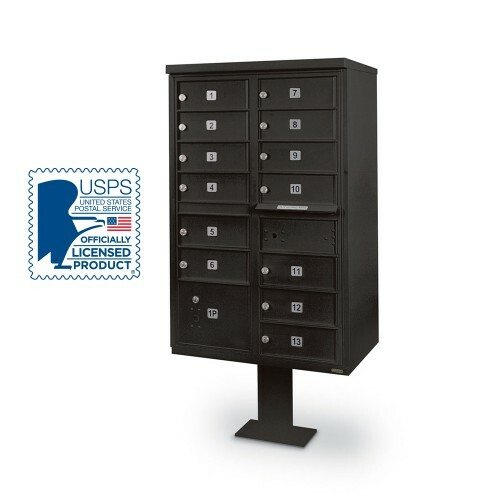 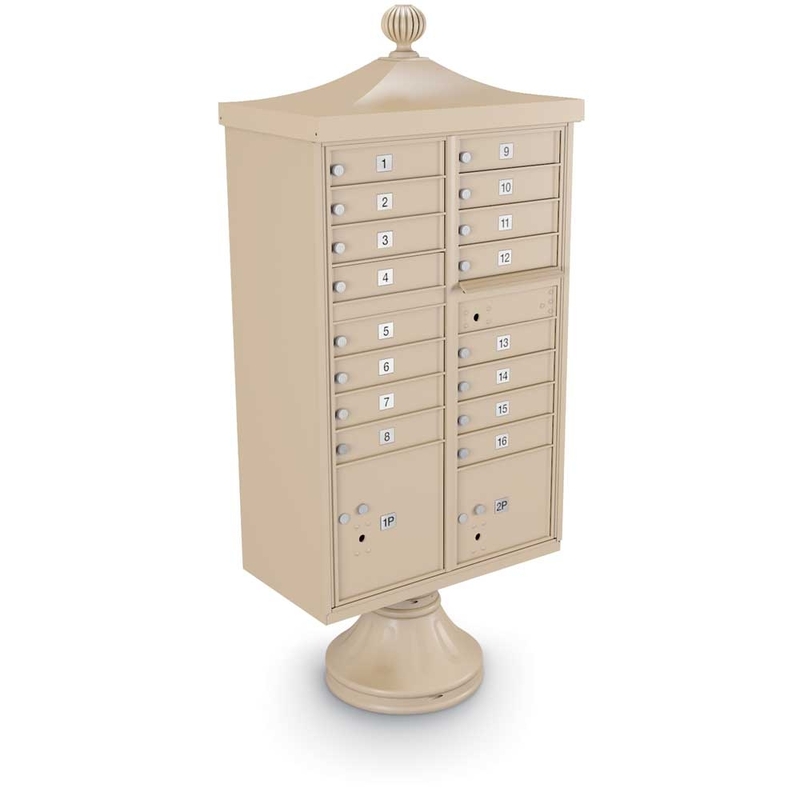 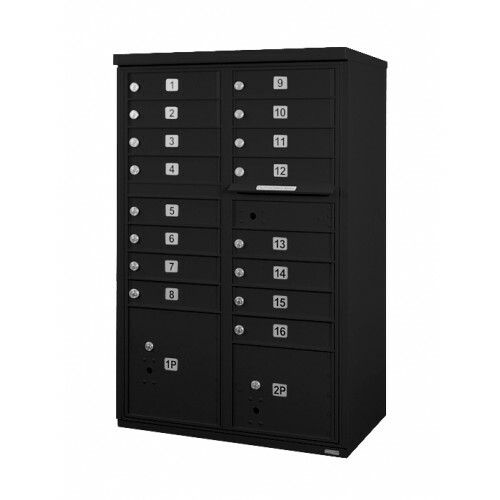 Adds curb appeal & secure mail delivery simultaneously with matching decorative accessories, including contemporary pedestals, caps, & finials. 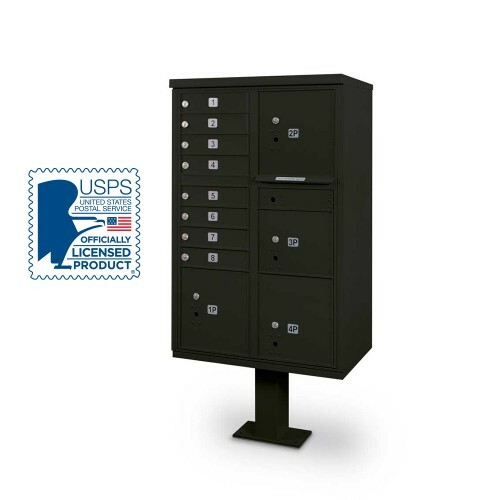 Provides a convenient place to safely receive and store additional, large packages while protecting them from the elements. 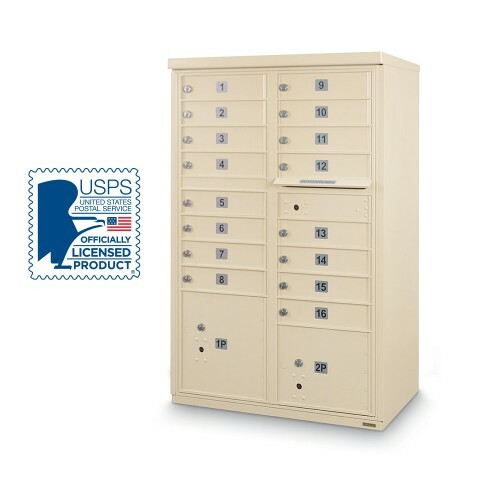 Large capacity CBU's come in 4 and 8 door-models while adding additional parcel lockers for secure package delivery. Get the convenience of a CBU mailbox along with a high-end custom decorative style that compliments your neighborhood design & becomes the focal point for mail deliveries. Shop anchor bolts, pedestal mounting kits, replacement tenant keys, and more for cluster mailboxes. 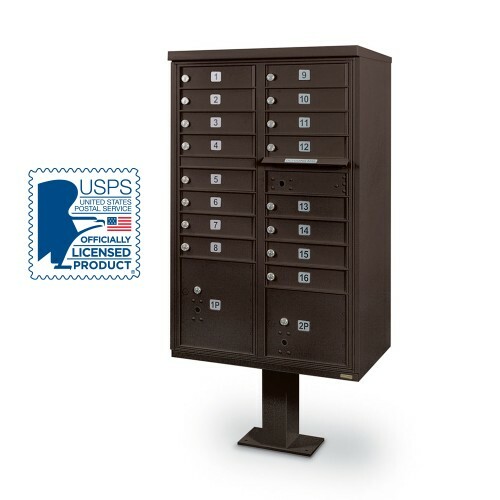 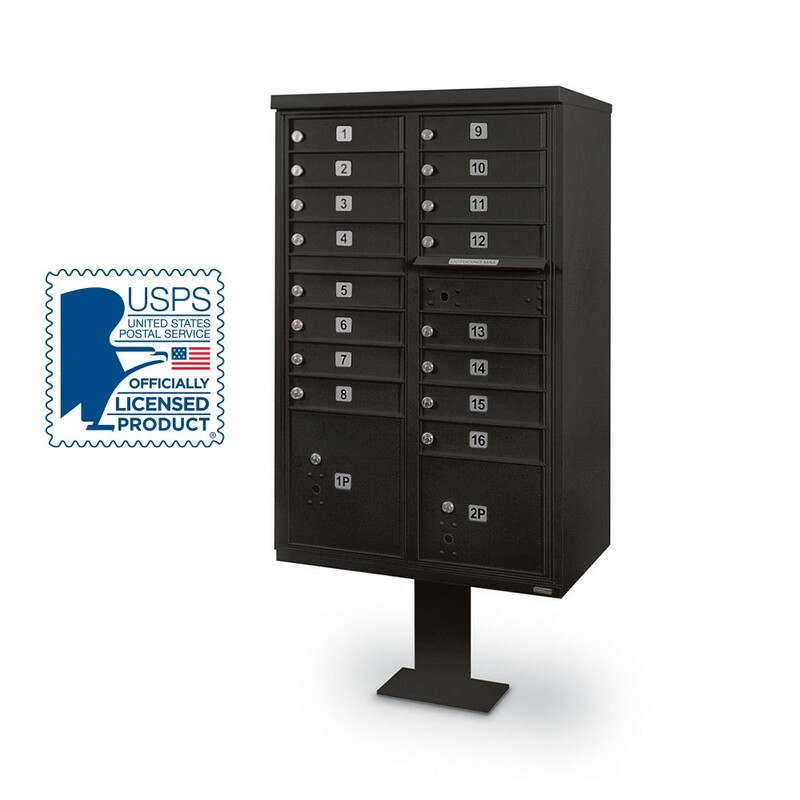 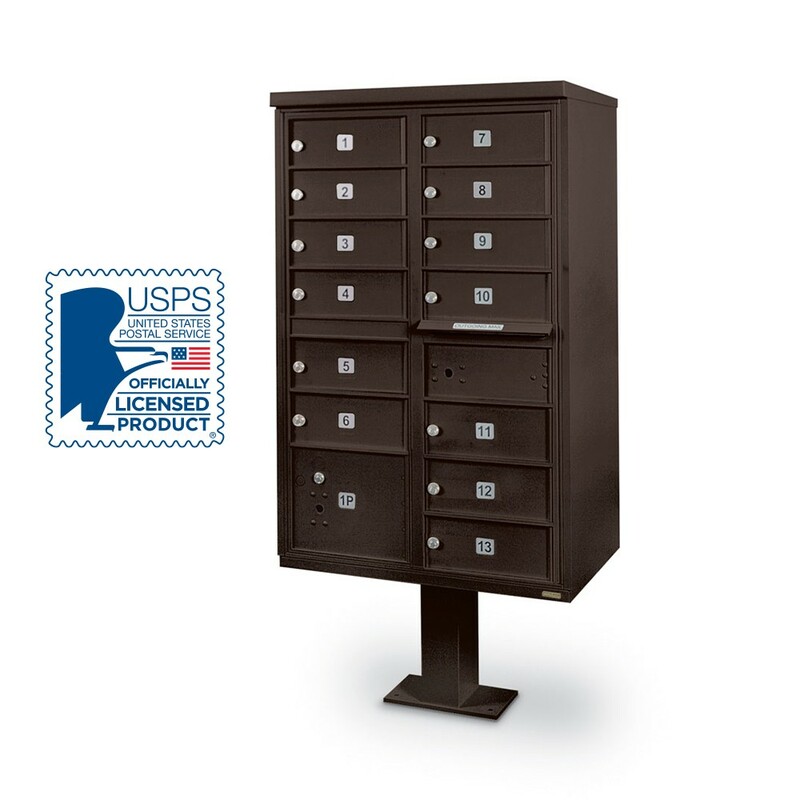 A cluster mailbox or cluster box unit (CBU) is an outdoor, free-standing, front-loading, pedestal-mounted mailbox designed for USPS centralized mail delivery. 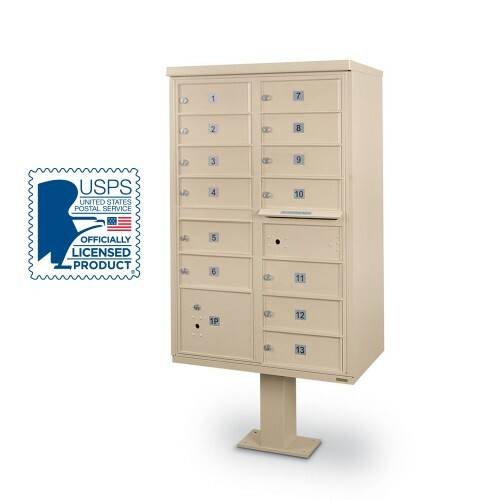 Cluster mailboxes provide an efficient mailbox solution for the USPS by allowing postal carriers to deliver mail and packages to multiple recipients or mailboxes in one stop. 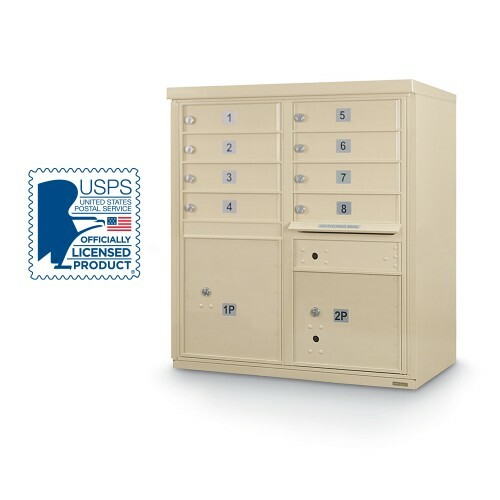 With up to 16 individually locked mailbox compartments and up to 2 integrated, built-in parcel lockers, cluster mailboxes also provide tenants easy, secure access to their mail and packages 24 hours a day and in one central location. 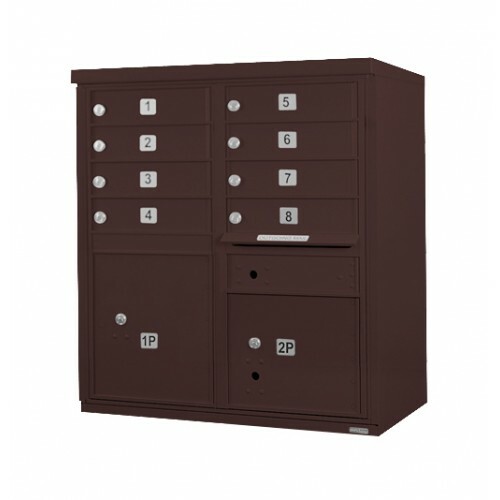 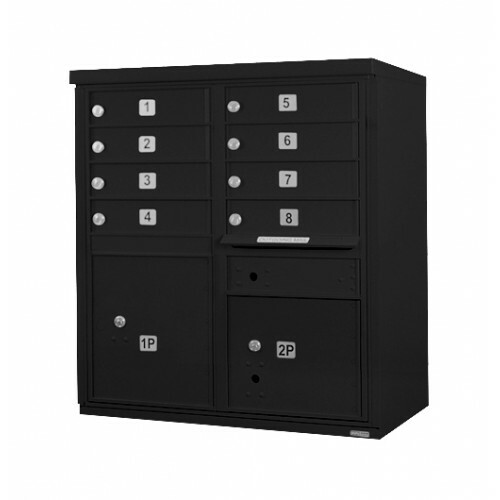 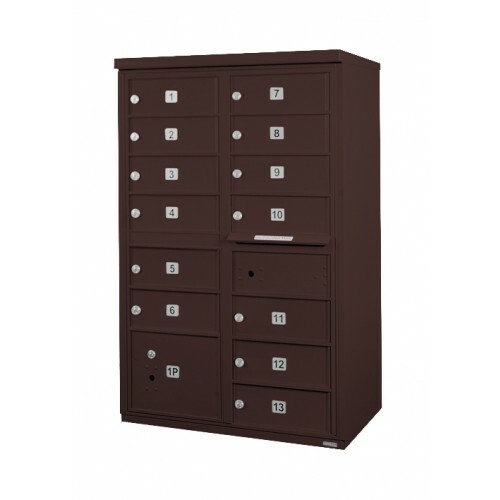 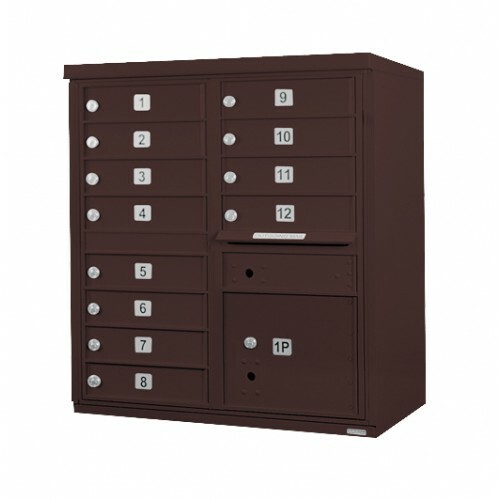 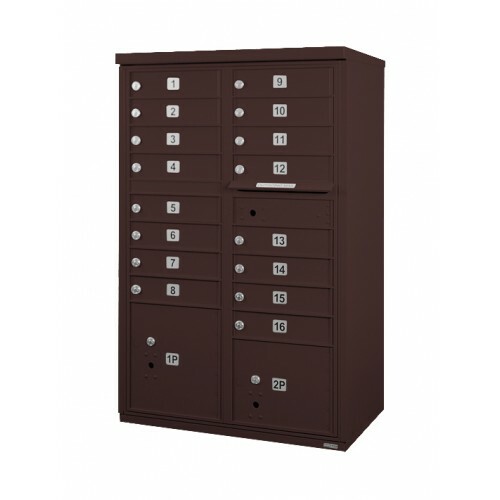 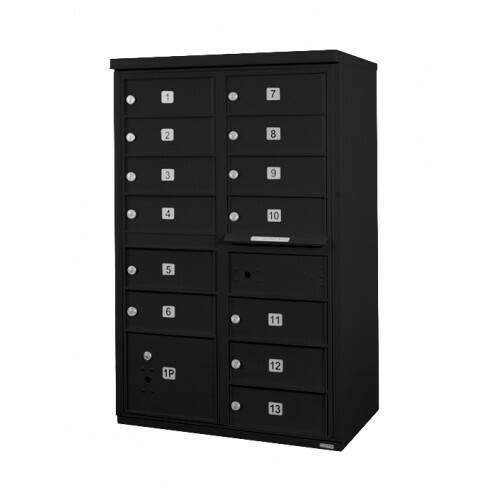 Cluster mailboxes are available in four (4) standard sizes and three (3) contemporary finishes. Direct Mailboxes offers a variety of configurations and sizes of USPS approved cluster mailboxes factory direct from Postal Products Unlimited. 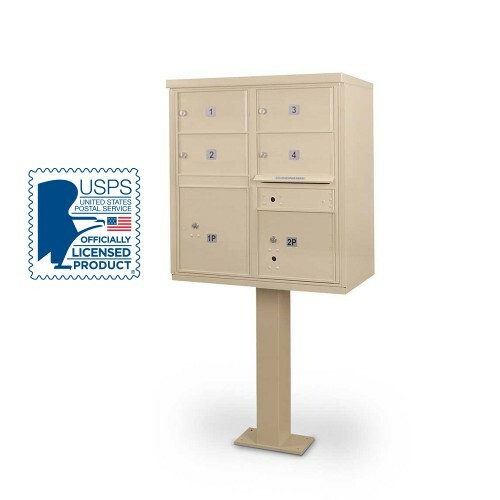 Postal Products Unlimited, Inc is one of a select few companies officially licensed and authorized by the United States Postal Service to manufacture F-Spec Cluster Box Units (CBU mailboxes). Each cluster mailbox is designed and manufactured to meet or exceed the rigorous standards set out by the United States Postal Service USPS-B-1118 CBU Specification and associated Technical Data Package. Thereby meeting and exceeding these standards, our units are able to live up to the 20+ years lifecycle goal set out by the Postal Service. 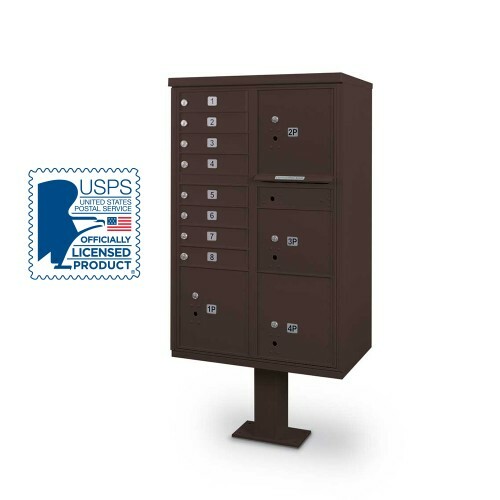 CBU mailboxes offer an extensive design that guarantees ease of use as well as overall security and protection against vandalism, theft and potential weather damage. 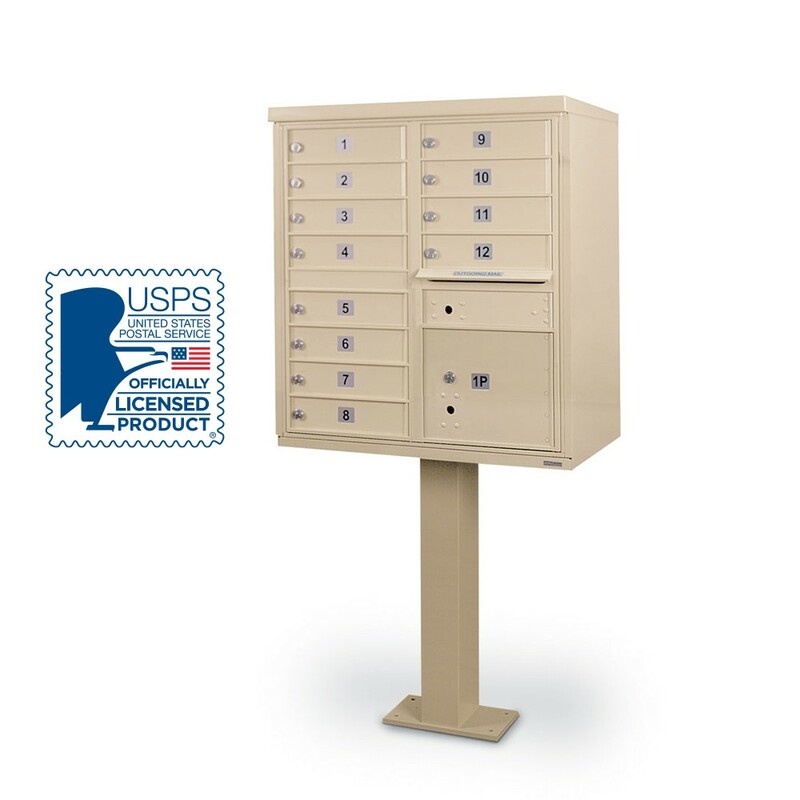 Each cluster mailbox is constructed of heavy-duty extruded aluminum, stainless steel hinges, corrosion resistant components, and a durable, weather resistant powder coat finish. All tenant doors are equipped with a five-pin cylinder heavy duty cam lock (USPS designed 910 lock) that latches through the cbu frame for maximum security. 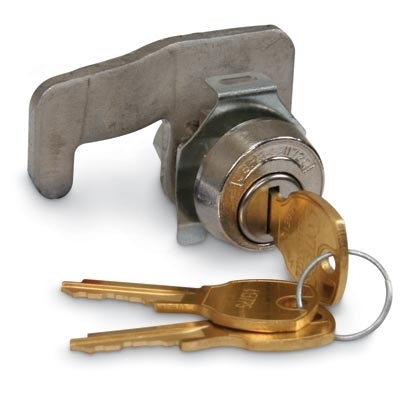 Each lock has a dust/rain shield and three keys provided. Overlapping seams prevent prying and an aluminum comb provides an anti-fish plate to prevent tampering with the outgoing mail slot. The cluster mailbox will keep your mail high and dry with its matching aluminum pedestal and top sloped for precipitation. 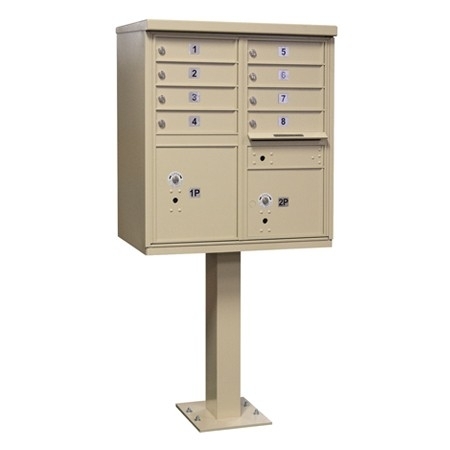 Cluster mailboxes are the ideal mailing solution for a wide range of commercial and residential properties, including new construction communities, townhouse communities, neighborhoods, apartments, offices, businesses, universities, and more. 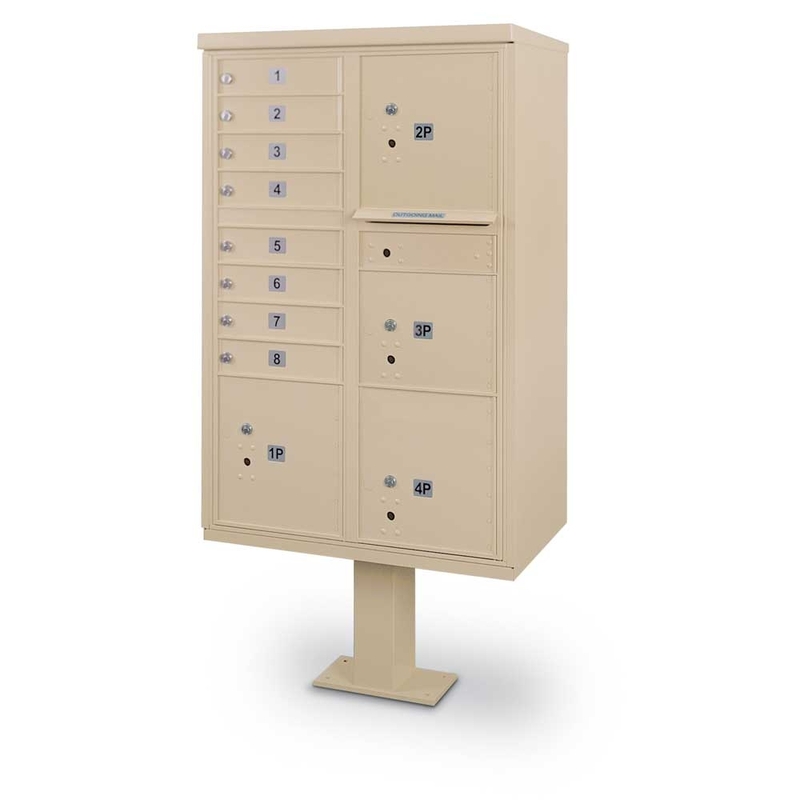 Cluster box units can be used in large groupings or alone to accommodate every project type. 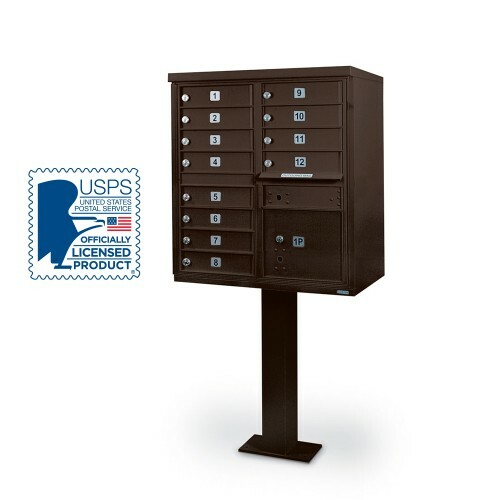 Still not sure which cluster mailbox is right for you? We’re here to help! Give us a call at (800) 229-4500 or start a chat and one of our mailbox specialists will find the right cluster mailbox for you. 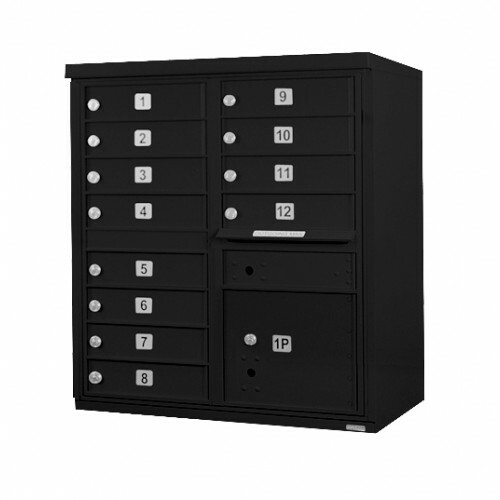 Need Bulk Pricing For CBU's? 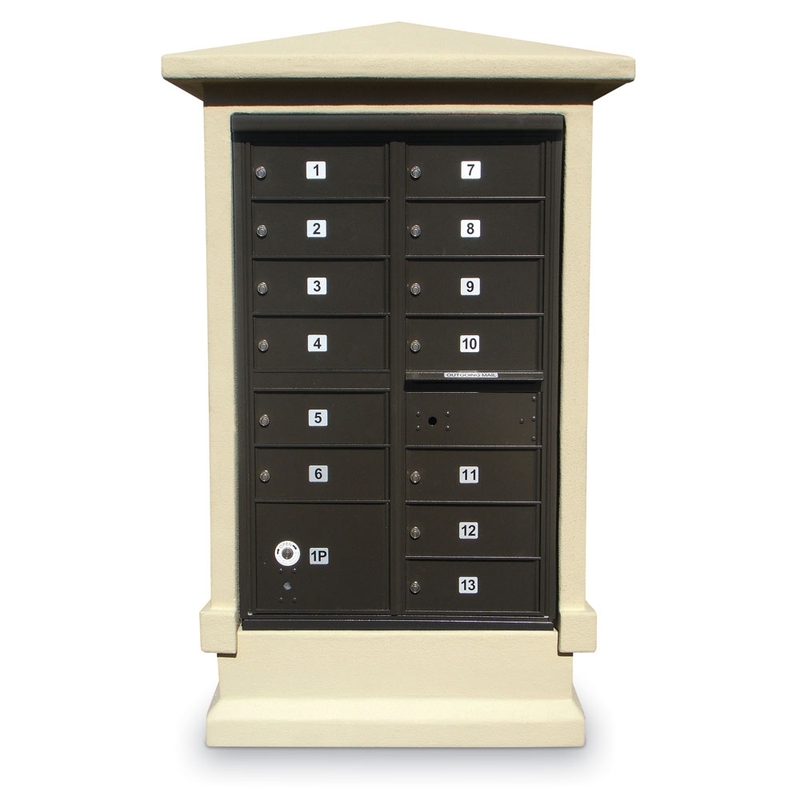 Fill out our Bulk & Custom Order Form or give us a call and we’ll provide you with our best pricing on bulk and custom CBU mailbox orders!